Small size has .5" squares and completed design measures 5.5 x 5.5". Centered on a 6.5 x 6.5" stencil. 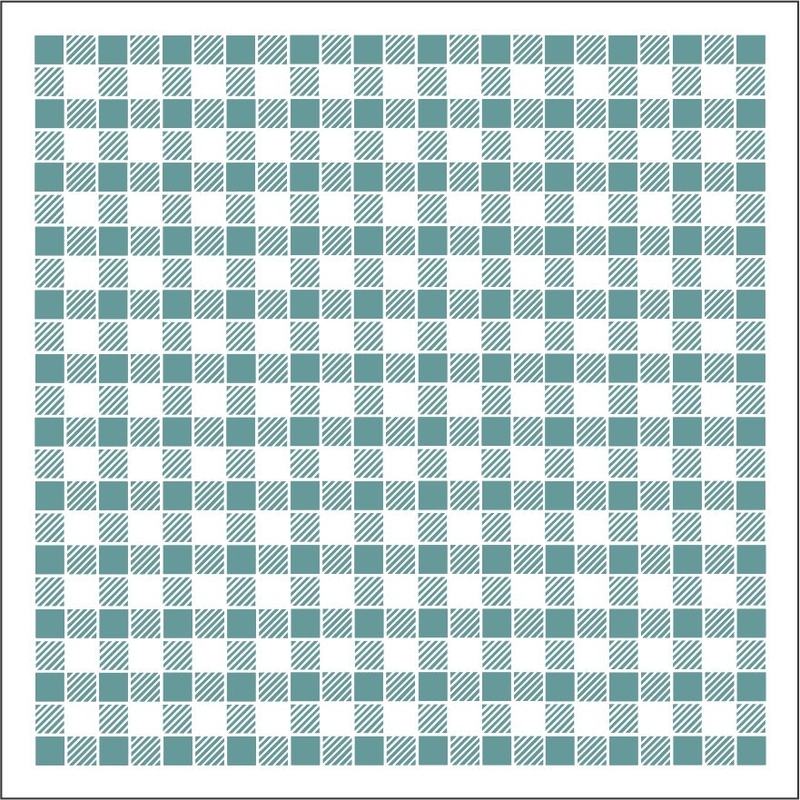 Regular size has .5" squares and completed design measures 11.5 x 11.5". Centered on a 12.5 x 12.5" stencil. 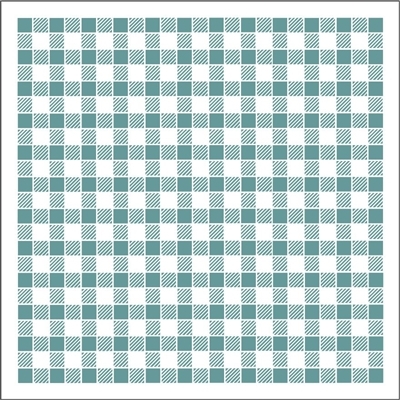 Large size has 1" squares and completed design measures 23 x 23". Centered on a 25 x 25" stencil.